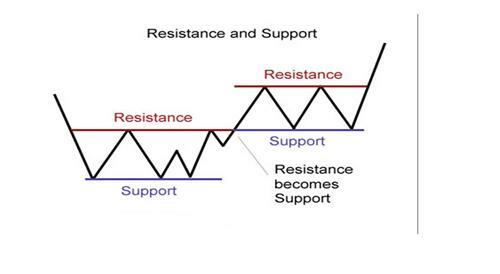 A breakout is when prices pass through and stay through an area of support or resistance. 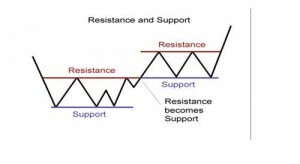 On the technical analysis chart a break out occurs when price of a stock or commodity exits an area pattern with an increase volumes. 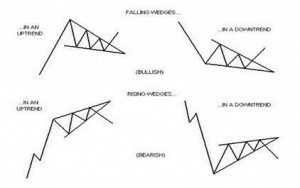 A chart pattern or price pattern is a pattern within a chart when prices are graphed. In stock and commodity markets trading, chart pattern studies play a large role during technical analysis. 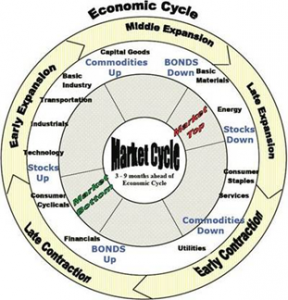 When data is plotted there is usually a pattern which naturally occurs and repeats over a period. 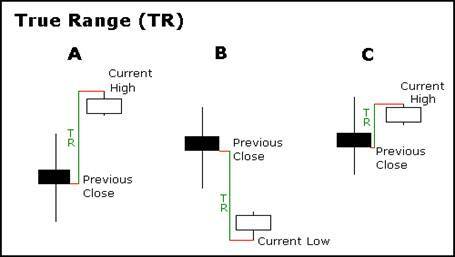 Chart patterns are used as either reversal or continuation signals. 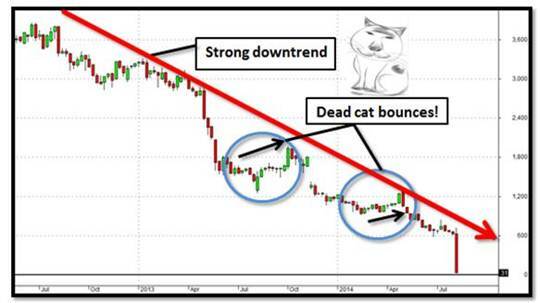 In finance, a dead cat bounce is a small, brief recovery in the price of a declining stock. Derived from the idea that “even a dead cat will bounce if it falls from a great height”, the phrase, which originated on Wall Street, is also popularly applied to any case where a subject experiences a brief resurgence during or following a severe decline. 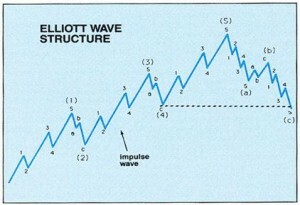 The Elliott wave principle is a form of technical analysis that some traders use to analyze financial market cycles and forecast market trends by identifying extremes in investor psychology, highs and lows in prices, and other collective factors. Ralph Nelson Elliott (1871–1948), a professional accountant proposed that market prices unfold in specific patterns, which practitioners today call Elliott waves, or simply waves. 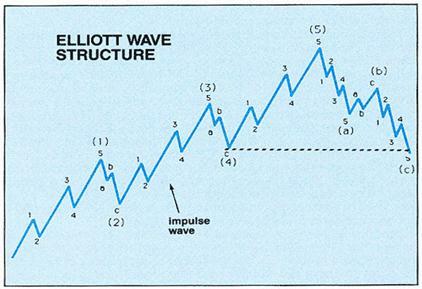 Elliott published his theory of market behavior in the book The Wave Principle in 1938, summarized it in a series of articles in Financial World magazine in 1939, and covered it most comprehensively in his final major work, Nature’s Laws: The Secret of the Universe in 1946. Momentum and rate of change (ROC) are simple technical analysis indicators showing the difference between today’s closing price and the close N days ago. 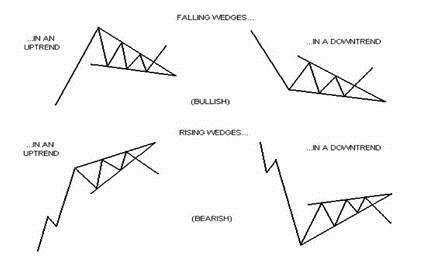 Momentum is the absolute difference in stock, commodity. 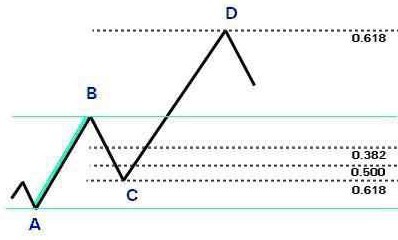 Point and figure (P&F) is a charting technique used in technical analysis. 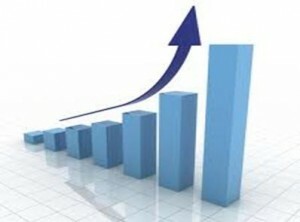 Point and figure charting is unique in that it does not plot price against time as all other techniques do. 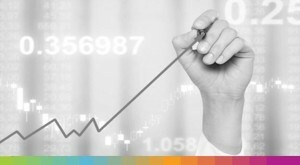 Instead it plots price against changes in direction by plotting a column of Xs as the price rises and a column of Os as the price falls.